Duolingo, an app that turns the language-learning experience into a game and uses the data generated to improve itself, is headed to the classroom. If you think about it, the startup always belonged there. Users can learn English, Spanish, French and seven other languages using free Duolingo lessons, which are provided through its apps and website. Duolingo is available in 23 languages — including Chinese and Hindi. The company opened up Duolingo for Schools on Thursday. Although some teachers had used the free Duolingo app in their classes, Duolingo for Schools adds structure and a dashboard so teachers can keep track of their entire class. Students will progress through Duolingo as directed by their teachers, who will receive data on how they’re doing and where they might need improvement. 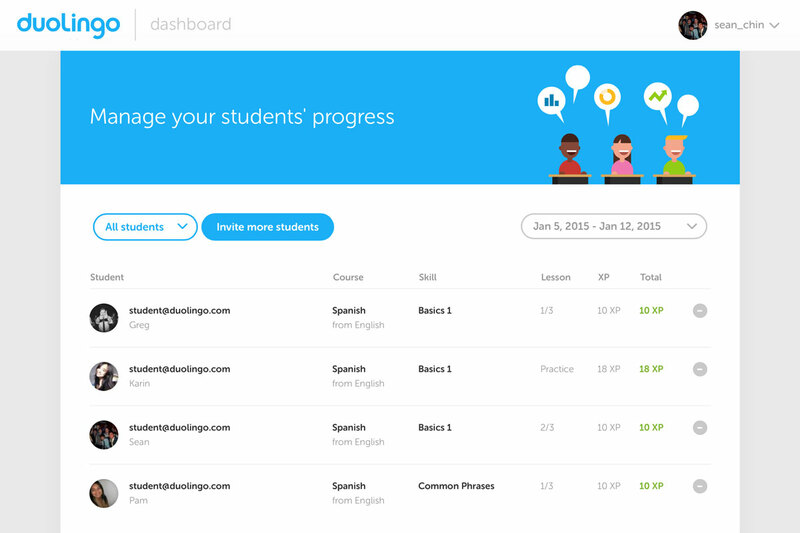 If a student is struggling with, say, conjugation, the dashboard can alert the teacher that the student might need a little more practice with verbs. Another example of Duolingo for Schools’ data-based approach is that it can tell if a student hesitates before answering a specific type of question. Duolingo for Schools will be free, so individual teachers can incorporate it into their lesson plans without going through an administrator-level textbook or technology purchase. However, Duolingo requires each student to have a computer, Chromebook, or smartphone capable of running the app, which is something that not all school districts provide. 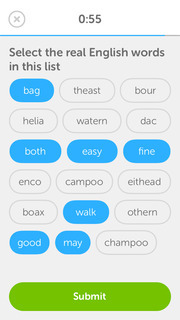 Still — a sub-$100 Android or Windows phone can run the Duolingo app. “Teachers can use it with their students without the need for funding from administrations,” Gina Gotthilf, Duolingo’s head of communications, told me in an email. And there are no ads. It’s an interesting approach to breaking into the education market. Many tech companies have to pitch their services to school districts and administrators, but [company]Duolingo[/company] is hoping a quality, free program will get teachers to sign up on their own. Duolingo has skipped the traditional education structure before — its Duolingo Test Center program eschews traditional TOEFL English-language testing, instead providing its own credential at the end of a 20-minute exam administered on a smartphone.